These days, many businesses are investigating the cloud. However, until recently banking, financial services and insurance companies weren’t among them. In the past, banks, asset management firms and other players in the BFSI ecosystem were reluctant to consider cloud environments, citing privacy concerns, security fears, regulatory requirements and the complexity of integrating internal and third party legacy systems. However, over the past few years, banks are revisiting their prior conclusions. Faced with unprecedented market forces empowering the customer to take their business elsewhere with a mouse click, as well as the proliferation of so called ”fintech” companies initially developed in the cloud, financial institutions are forced to react more quickly than ever before. The delivery of banking services, the reliability of banking services and the mobility of banking services are significant market forces that make the cloud more attractive. There are significant benefits to operating in the cloud. 1. Reduced costs: cloud computing reduces the need for investment in dedicated hardware and software – and the staffing to maintain them. By investing in the cloud, banks and financial services organizations can take advantage of modular capabilities, preventing the underutilization that often accompanies expansion of physical architecture. This real-time provisioning reduces numerous costs, including often overlooked expenses related to the physical plant and utilities. By only paying for hardware and software needed in particular timeframes, efficiencies of cost are achieved. 2. Improved flexibility and scalability: the cloud gives banks the ability to respond quickly to changing market, customer and technological demand. By quickly scaling their infrastructure up and down according to demand – even temporarily – BFSI organizations gain an important competitive edge and sustain customer loyalty by meeting performance expectations. 3. Responsive client relationships: cloud computing makes development of new products faster and easier than ever before. As smartphones proliferate and mobile access to everything becomes increasingly expected by today’s consumer, banks and financial institutions must take end user expectations into account – and quickly. The cloud enables applications to be built, tested and rolled out in a fraction of the time required in traditional, on site environments. Moreover, by building in the cloud, access between parties and institutions becomes easier than ever before. Of course, significant challenges remain in migrating to the cloud, particularly for a highly regulated industry like BFSI. Of particular concern are security and compliance. Data must be securely maintained at all times, and all new applications must meet said requirements. Moreover, uptime is of critical importance. 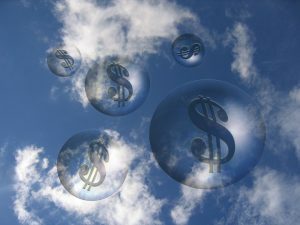 As a result, many financial organizations migrate their least critical operations to the cloud first. By getting their feet wet with data storage and backup, for example, instead of client account information, they have the opportunity to learn how to integrate their data, legacy environment and use cases with the cloud. Cloud technologies are here to stay. The communications, retail, insurance, manufacturing, automotive, health, and mobile industries have all been transformed by the cloud, and banking is close behind. The best opportunity to remain competitive in the digital era requires embracing – rather than fighting – cloud migrations. By choosing merging appropriate projects with qualified hosting environments, BFSI entities that move to the cloud will remain increasingly successful in the years to come. Learn more about our highly developed cloud migration process by clicking here.